Historic Mission To The Dark Side Of The Moon Has Been Accomplished by China | Read This Article Now ! It was a historic mission to the dark side of the moon (which people can't see from Earth) that has successfully been accomplished by China. Lunar explorer Chang'e-4 touched down at 10.26 am local time (2.26 am GMT). One after another The United States, The former Soviet Union and then more recently China all sent spacecrafts to the side of the Moon that faces the Earth but this is for the first time when a country sent probe to the far side of the Moon. This mission will definitely help scientists to learn more about the moon and also about early days of the Solar System. After the successful landing the lander sent back the first ever image of the far side of the Moon to the Earth. 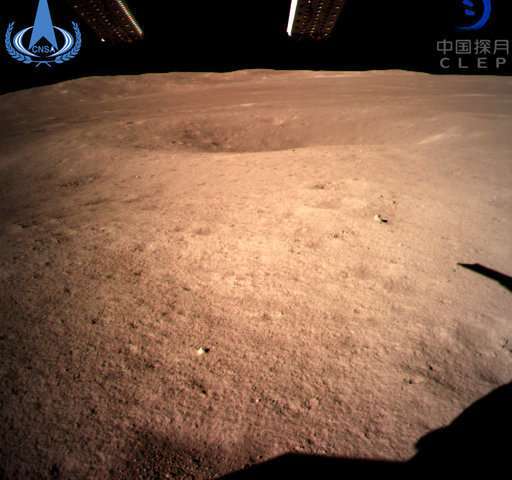 Image Credit: The far side of the moon, photographed by the Chang'e-4 lunar probe, is seen in this image provided by China National Space Administration, Jan. 3, 2019. After sending the very first image of the far side of the moon it then released a rover called Yutu-2, which then started to roll out onto the Dark Side of Lunar Surface. According to the scientists this mission to the far side of the moon was a bit difficult as Moon blocks the direct communication between the spacecraft and it's controller on Earth. Far side of the moon can not be seen from earth through a telescope as you all know that only the one side of the moon faces earth while it orbits the Earth. It happens because moon rotates on it's axis at the same rates the moon orbits the Earth. So it is impossible to study the dark side of the moon from Earth even with a powerful telescope. Because of this reason the far side of the moon always been a mystery for all. After this successful mission by China scientists are now hoping to explore many unknown facts. So China's space community now taking pride after this successful mission which was actually a technical challenge to them. This is China's second lunar probe that made soft landing on the moon following 2013's Jade Rabbit Lunar rover mission. And the third lunar rover mission already been planed by Beijing which will be Chang’e-5, later this year. The main objective of that mission will be to collect samples from the moon's surface and bring them back to the Earth. This unmanned lunar mission to the far side of the moon brought hope in the ALIEN AND UFO RESEARCH COMMUNITY too, because it is said that during different Apollo Missions NASA witnessed many buildings and structures at the far side of the moon that has never been published to the public. same news which in our personal opinion is a great step forward for human kind. Here is a link to our similar article. We need to look beyond the fact that the country that achieve this was China. 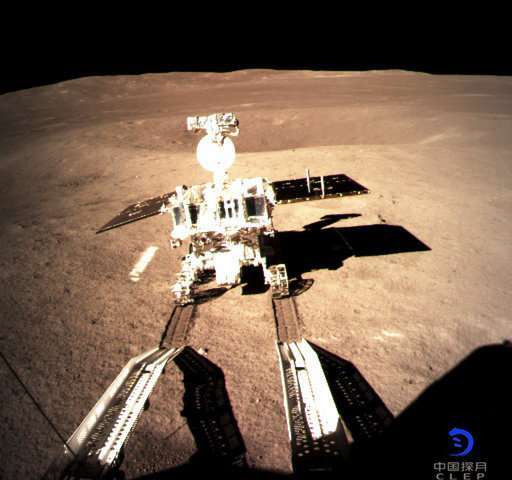 Being able to overcome the problem of indirect communications with the Moon's Missions's space craft is pure ingenious using a relay satellite Queqiao (Magpie Bridge) which they launched prior to the Chang'e 4 mission. Also thru this same Chang'e 4 mission, we learnt that plant seeds are able to grow on the moon's surface which was also reported. Although it was done within a controlled environment inside the spacecraft. It would be really exciting to have a similar experiment done on our moon. Thankfully China did the experiment within an enclosed environment and not on the lunar surface itself. It would be horrific if the seed did start to grow and spawn multi plants, turning the moon from a white surface to a green surface with plants!